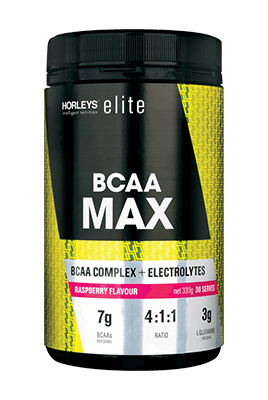 Horleys - BCAA Max Supplement for Accelerated Muscle Recovery, Repair & Growth. NOT INTENDED FOR USE BY PREGNANT OR NURSING WOMEN OR PERSONS UNDER THE AGE OF 16. BCAAs are the building blocks of protein. Together with added magnesium and B vitamins, they reduce fatigue, muscle soreness and accelerate recovery. BCAAs are anti-catabolic, which means they help prevent muscle breakdown.